This piece was inspired by a drawing by William Blake with the same title, I have Africanized the figures; dressing them in cloth that could come from different parts of the world, echoing; Asia a paisley motived fabric, then a Mondrian pattern that looks like sleek building blocks to represent Europe and a woven cloth with an Igbo pattern for Africa. The women have gele head ties (this fabric is produced in Switzerland). 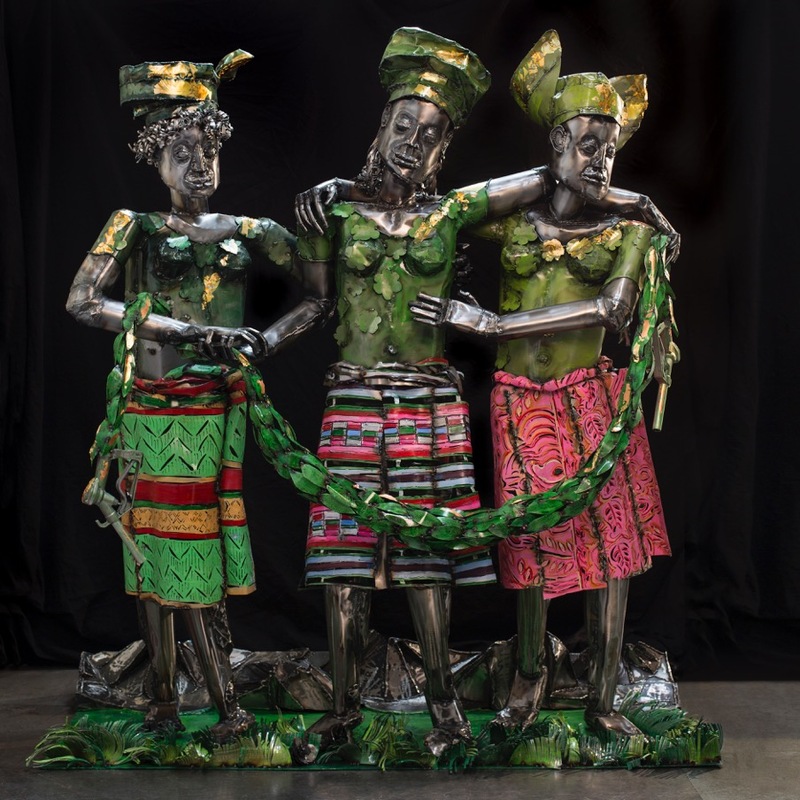 The three graces represent women in the world resting on their laurels as humankind is holding a wreath which ends with a petrol nozzles; their back drop is mountains and they stand gracefully on a cushion of lush grass and flowers. I really enjoyed working with Blake’s sketch making sure the figures stood and touched as they do in his drawing. I think the work is international and conscious of our humanity and the coercion in working with each other and not caring for the environment. Business as usual?